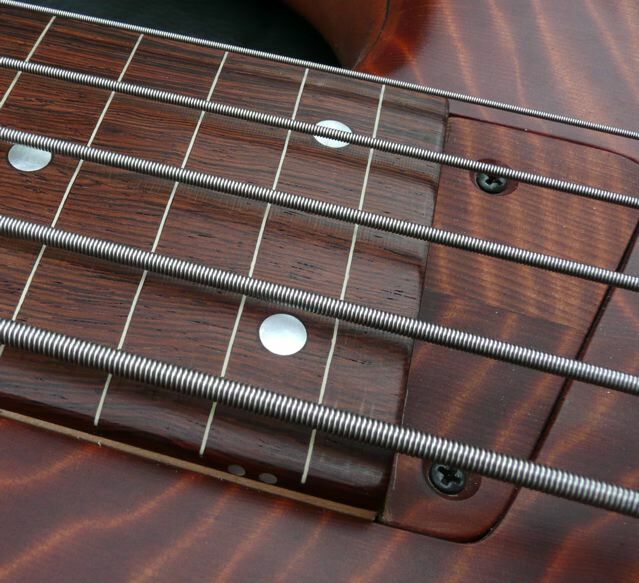 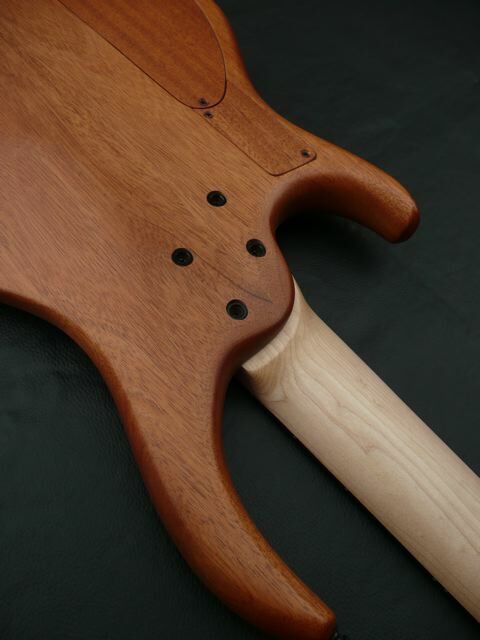 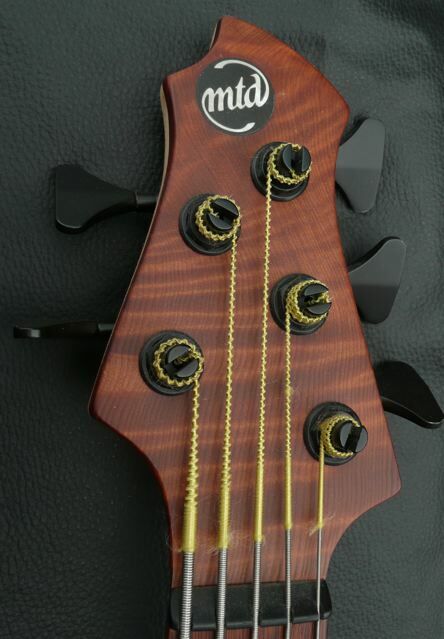 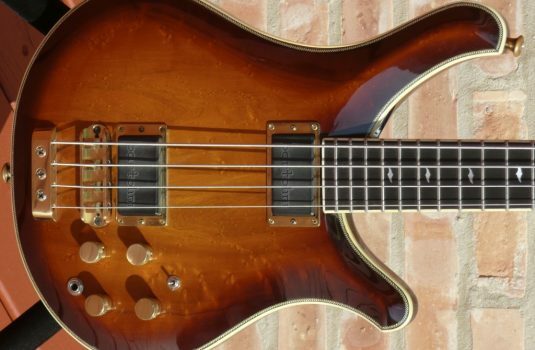 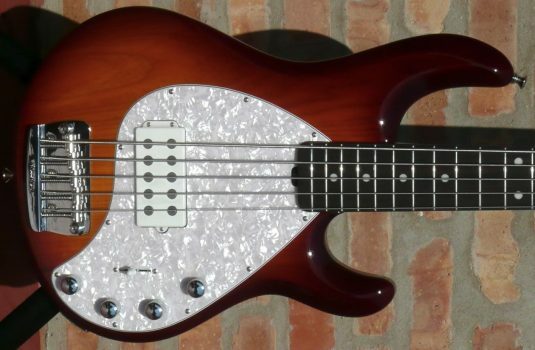 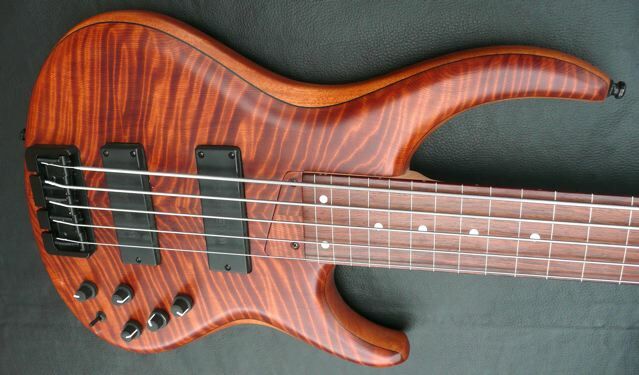 This bass sings sweet, well defined with some nice mid range – thank you Mr. Mahogany. 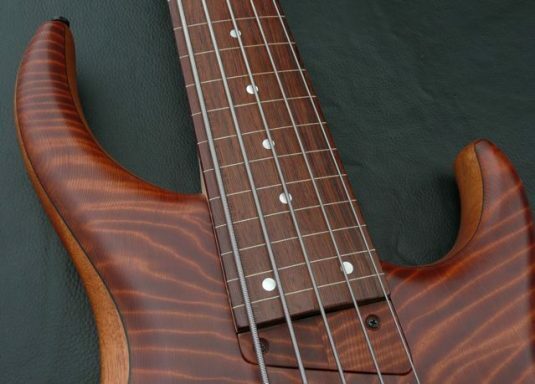 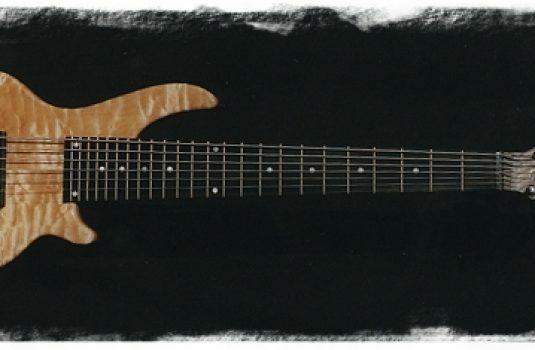 The fretboard is Honduras Rosewood, which, I have been told, is THE type of Rosewood to use for a fretless board. 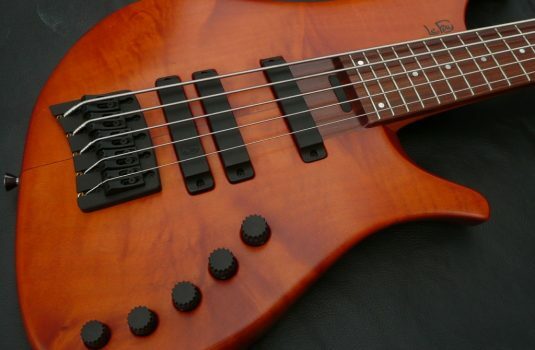 What I have been told and what I hear seem to agree. 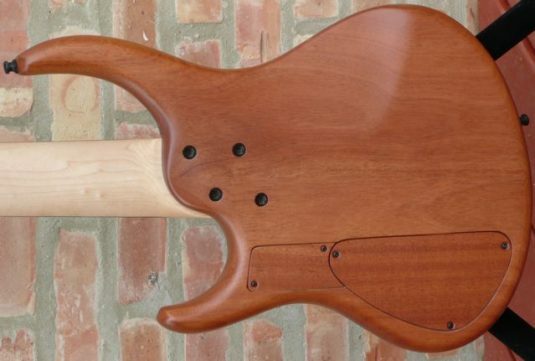 This bass is in very nice shape, near mint in fact. Supplied with an MTD ultralight hardshell case.